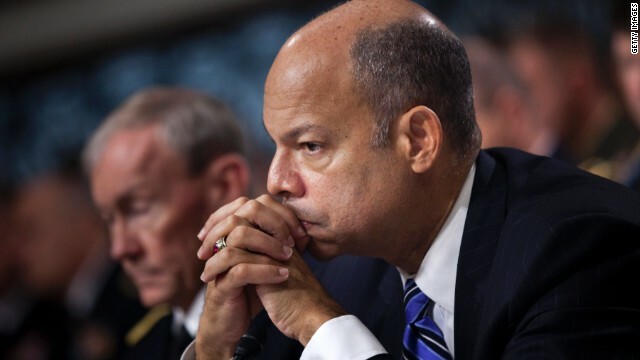 Johnson was nominated by Obama in October and will replace former Secretary Janet Napolitano, who left the Cabinet post earlier this year to head California's public university system. Johnson will be the fourth secretary of the department that was created in response to the 9/11 attacks. A member of Obama's original transition team, Johnson was most recently the Pentagon's top lawyer where he reviewed military operations. He also was instrumental in counter-terror policy that involved increased reliance on unmanned drones under Obama. Republicans accused Johnson of being a political loyalist of the President who lacked experience in border security. The Senate also cleared Ann Patterson to be Undersecretary of State for Near Eastern Affairs. Republicans filibustered her appointment as well. Johnson's confirmation occurred as partisan rancor hits new heights in the Senate over procedural changes imposed by majority Democrats to weaken Republican attempts to block or slow presidential appointments. Senate Majority Leader Harry Reid said he would push for approval of other nominees before lawmakers leave town for the holidays by the end of the week. These include Janet Yellen to head the Federal Reserve; Robert Wilkins to sit on the federal appeals court in the District of Columbia, Alejandra Mayorkas as Johnson's deputy and John Koskinen to lead the IRS. Mayorkas's nomination is especially controversial. Several GOP Senators don't want him confirmed until an inspector general investigation is completed into a controversy over a visa program that he oversees. During the partisan flareup over changes in its rules, the Senate remained in session through the night twice over the past week. "Although we accomplished a great deal, the process was neither easy nor pleasant," said Reid. Republicans have not said if they will force overnight sessions this week in order to slow consideration of remaining nominees. The Senate is also considering defense policy and budget bills this week. Reid has said the Senate could finish its work as early as Thursday if Republicans cooperate but held out that it might take until Christmas Eve if they don't. I just hope that this guy is correct for the position. We hope he has every Americans safety in mind . is this guy crazy? Who in their right mind would go to work for this administration?